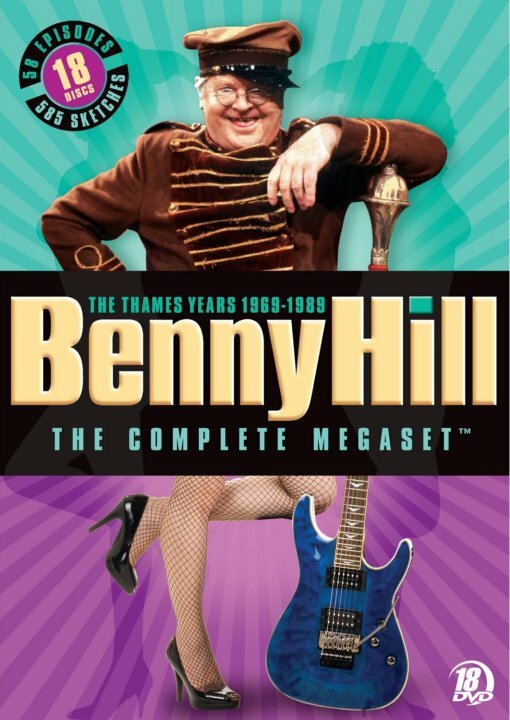 Benny Hill Complete Megaset Black Friday DVD Giveaway! BENNY HILL: THE COMPLETE MEGASET contains Benny’s raucous 20-year reign over televisions-sketch variety genre, from the naughty early years to the debut of the nubile Hills Angels, through the final episodes. Witness the birth of crazy caricatures like Fred Scuttle, Chow Mein, and Pierre de Terre. Laugh out loud as Benny and his bevy of buxom babes flaunt their racy rowdiness and tongue-in-cheek satire in characteristically outrageous sketches like The Little Dimpton Street Party and The Crook Report. If you’d like to spend some time catching up with “Benny’s bevy of buxom babes” (which is why this show was so appealing as a kid), fill out the contest entry form after the jump for a chance to win a copy of the DVD megaset. Contest ends Friday, December 3, 1 entry per household, US residents only. I REALLY MISS seeing this show and was saddened when it was pulled of the air. I submitted my entry!!!! Thanks for hosting this super-cool!! giveaway drawing. THere was always a lightness to his humor. I was really sad when he passed away. Bummer!! I didn’t win. 🙁 …it must’ve went to someone else who never posted. my brother and i watched Benny Hill when we were younger. couldn’t wait for 11pm to watch the next episode. i realize the contest here is over, but is there a possibility of purchasing this?